In New Jersey, a power outage can happen any time of year. In the summer, the electricity may go out because of an excess of air conditioners running, while in the winter a bad storm can cause the power lines to go awry. Even spring and autumn storms have brought multi-day power outages across the state. With a whole house backup generator, you’ll never have to worry about the power going out again. When the electricity stops working, you’ve got the backup you need. Argent Contracting Company installs, replaces, and repairs generators in homes across Morris, Essex, Union, and Somerset Counties, New Jersey. Our expert team of talented technicians cares about giving you the best service possible. We are even available 24 hours a day, 7 days a week in case of emergencies. We provide weekend and evening appointments to fit your schedule and give you computer-generated, client-friendly proposals detailing the exact work to be done. If your power goes out for any reason – electrical grid problem, severe storm, or serious weather issues – a backup generator kicks in automatically to deliver power directly to your home’s electrical system. You can choose to back-up your entire home or just essential parts, such as a kitchen and your bedrooms. Generators live outside, much like a central A/C system. They run on natural gas or liquid propane fuel. Efficiency – Generators are efficient because they run on natural gas or LP fuel. They provide power to your home as long as they are fueled. Cost-savings – When the power goes out, you may lose hundreds of dollars worth of food in your home if your refrigerator and freezer stop functioning. You might find yourself running out to buy flashlights and other essential items, costing you money you wouldn’t have to spend if you had a generator. Emergency protection – If your power goes during a State of Emergency, you can feel protected by your generator. This is particularly essential during the winter, when it might be freezing temperatures outside. You and your family can stay safe indoors with a home heated (or cooled) by your generator. Family protection – If there is a major power outage, you can help protect your friends and family who do not have backup generators by providing shelter in emergency situations. You never know when there will be another Super Storm Sandy or other natural disaster. 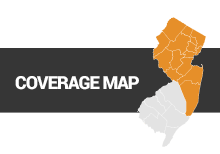 Home value increase – Anyone who has lived in New Jersey probably fears the inconvenience and danger of a power outage. When you go to sell your home, and it has a backup generator, you are increasing the value of your home and making it more attractive to sellers. If you’re considering installing a whole house generator, an Argent technician comes to your home to assess which system is best for your house. There are several solid choices when it comes to a backup generator, so we can help you choose the most appropriate solution for your budget and needs. It doesn’t take long to install a generator so you won’t have to worry about taking on a long-term home improvement project. Older generators might need to be repaired or replaced over time. Argent gives you the support you need to keep your system in tip-top shape. We can help you maintain or repair a generator, or do a complete removal and new installation when the time comes. If you need a replacement part, we’ll order and install it for you so you feel confident that you got the right price and service. If you require a new system, we’ll help you select the best brand for your needs, keeping your price point in mind. If you are considering installing a generator, require repairs to a current system, or need your generator replaced, call Argent today at 908-286-1920 to speak with a representative who focuses on residential services. Our main office hours are 7AM to 5PM, Monday-Friday, but we are available for emergencies 24/7 at 800-807-2103.